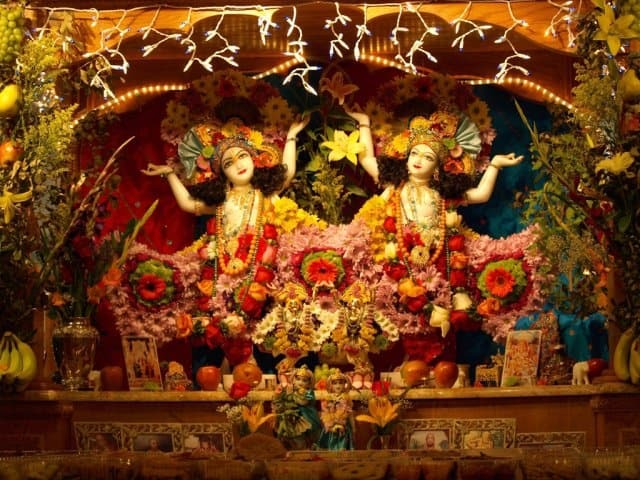 Better known as the Hare Krishna movement, ISKCON is comprised of more than 350 centres, 60 rural communities, 50 schools and 60 restaurants worldwide. The mission of this nonsectarian, monotheistic movement is to promote the well being of society by teaching the science of Krishna consciousness according to Bhagavad-gita, Srimad-Bhagavatam and other ancient scriptures. 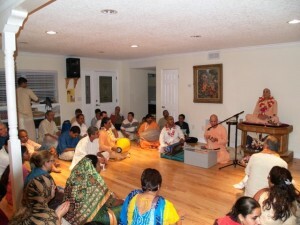 For more than ten years, the congregation in Orlando has been steadily increasing, with regular Sunday and festival programs. 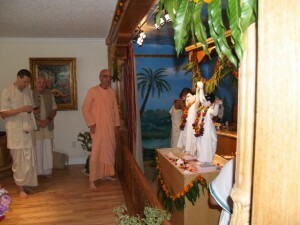 Since 2003, His Holiness Trivikrama Swami Maharaj (a senior disciple of Srila Prabhupada who joined ISKCON in 1968, initiated in 1969, accepted sannyas in 1971 and has been preaching all over the world esp. 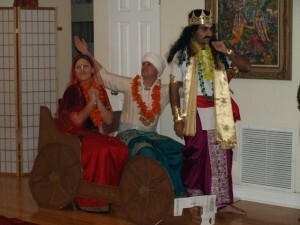 Poland, USA, India, Japan) has made Orlando as his base and was running a preaching center. Maharaj established a proper functioning board and started a strong Wednesday Bhagavad-Gita discussions program at the preaching center and a very enlivening Sunday feast program at a Jamuna Center temple hall. 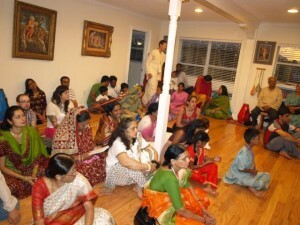 But the need of having our own temple property to boost the preaching was always felt. 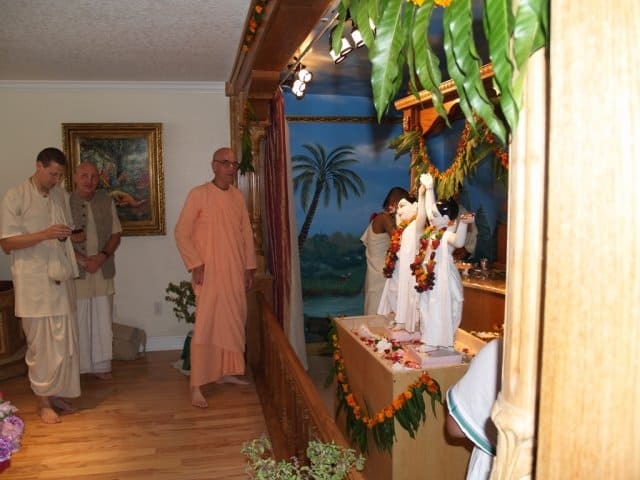 For the pleasure of Lord Krishna and Srila Prabhupada all the congregation devotees worked very hard to obtain an ISKCON Orlando property.